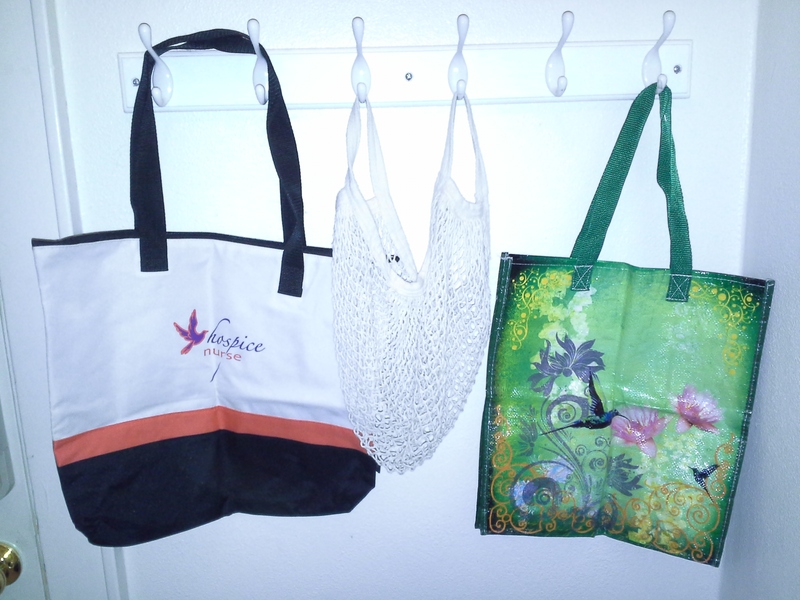 This post is in response to reader Beatrice’s request for ideas on what to do about stationary and plastic bags and how to keep them to a manageable state. I have two (how simple is that?) strategies. First: do not invite unneeded objects into your home, even if they are free. I do not use plastic bags. 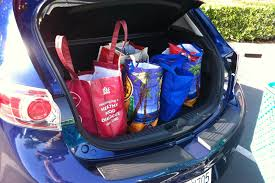 I carry my reusable shopping bags in my car at all times. If I am going on a walking shopping trip, I get them out of the car. Here are three of them. If I am just buying one item, I tell the cashier that I do not want a bag. Often times, I get a 5 cent discount for not using a plastic bag. I do not take free items at conferences, unless it is a pen for this same reason. 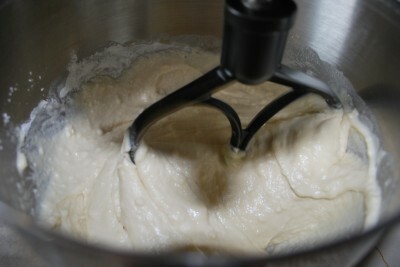 Second: If it is an object that we do use, I just obtain enough for a preset period of time. Number 2 pencils? They are on sale in August and I buy a package or two for the year. 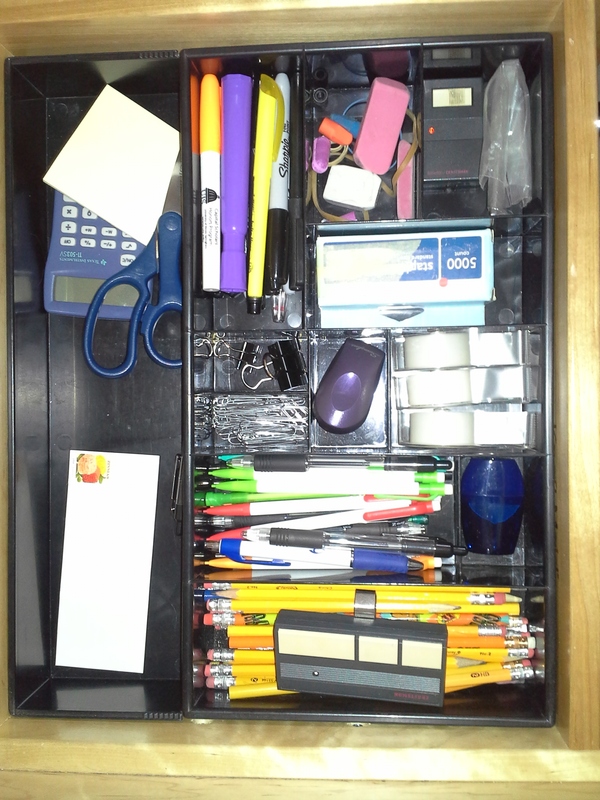 Here they are in the desk drawer, along with enough tape for the year and enough staples for a decade. Stationary? 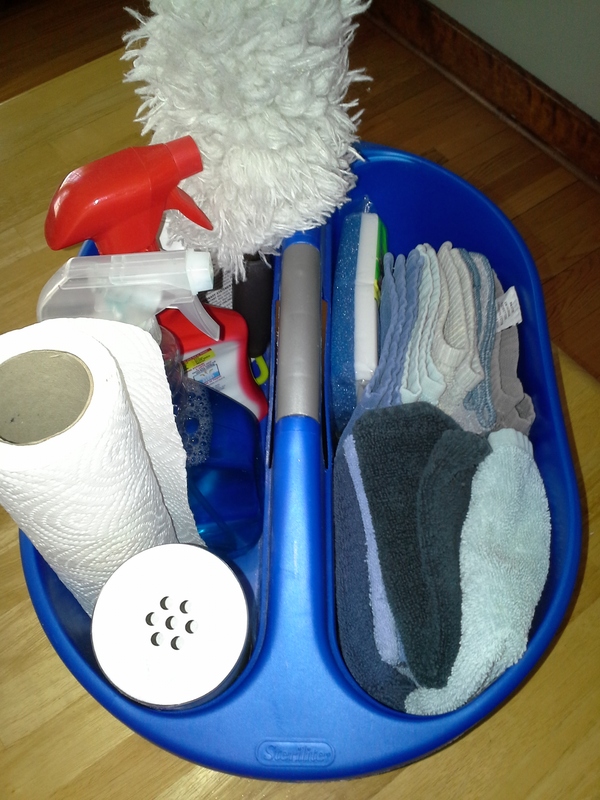 Same strategies….reduce the variety of what is needed and keep just a reasonably small amount. I have one box of business envelopes, one and a half packages of printer paper, a partial package of blank note cards. I like the blank note cards, as I can draw a quick picture on the front and make it a birthday card, a get well card, a Valentine card. Personalized and frugal. If you live a two-hour jeep ride from your store, you will need to stock up more than this. I’m a ten minute walk from a 24 hour pharmacy/department store. I can let them store my inventory. The weather is warming up. My winter clothes are showing signs of wear. [When you only have 6-7 outfits, they wear out faster.] And my thoughts are turning to my summer wardrobe. First I look at what I have that is still good so I have and idea what I need to fill in. Then, I go shopping. As mentioned in a previous post, I need to have pockets. And due to my body type, I almost always wear knit tops. I also have long legs, so most women’s pants do not fit me. I can get “tall” women’s pants from a catalog, but they generally start around $70 plus shipping. I work around this problem by wearing dresses and men’s pants. On days off work, I wear sandals. On days I work, I am required to wear closed toe shoes. 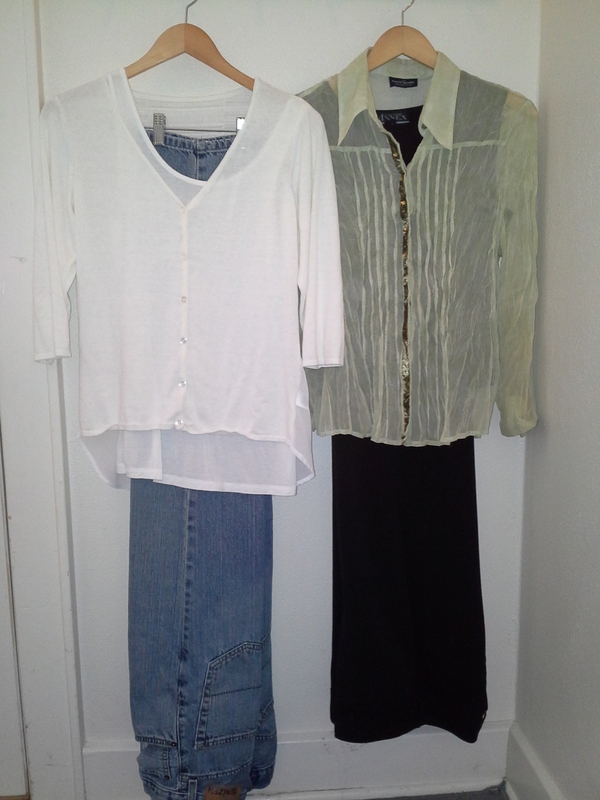 So-my summer uniform: knit top, skirt or pants/shorts with pockets and sandals/work shoes. One of the joys of being a minimalist is having an abundance of storage space. 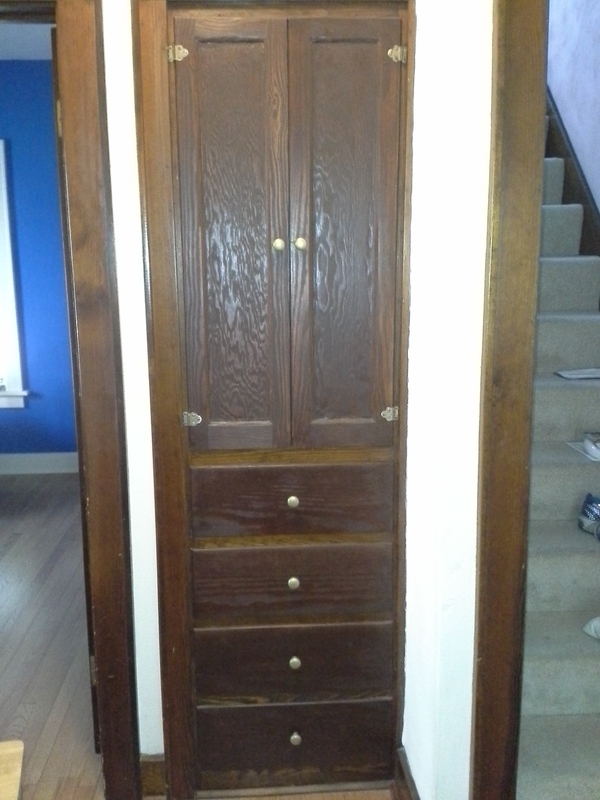 Underused closets. Empty drawers. Space that creates a sense of possibilities, instead of clutter that is a burden. 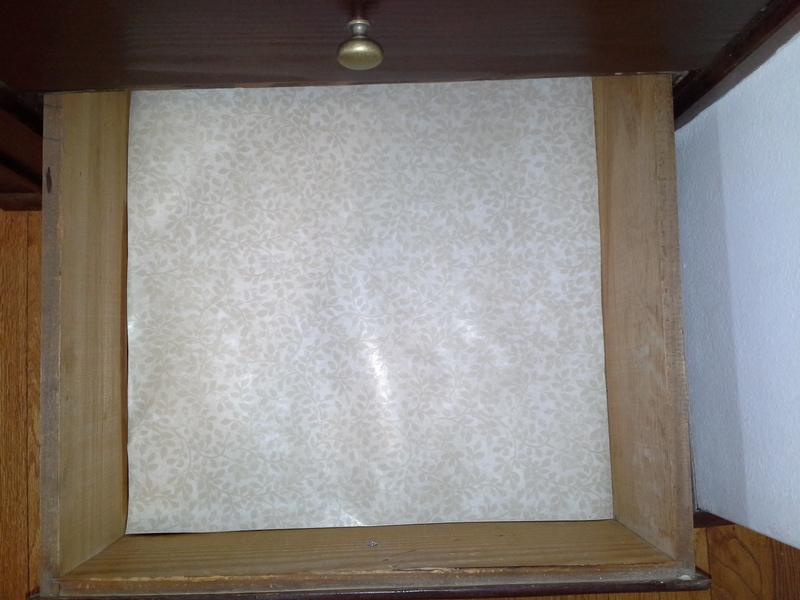 Here is a minimalist linen closet, in a home built in 1936 when people did not own so much stuff. And still we have plenty of room. It has three shelves with doors concealing them and then four drawers below. On the top shelf there is a bin of cleaning supplies. The middle shelf has enough towels for everybody when my son and daughter-in-law come for a visit during the holidays. There as a couple back-up shampoos and conditioners and the flashlight for when the power goes out. 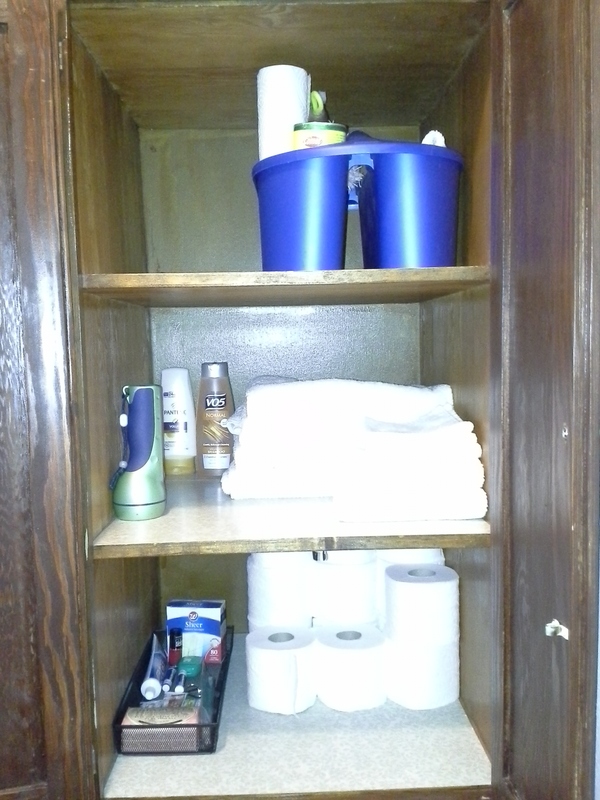 Bottom shelf has enough toilet paper to last us through Argamemnon and a bin with extra soap, toothpaste, floss, Chapstick, bandaids and a red nail polish. Since we live 3 blocks from a Walgreens open 24 hours, this is really not necessary. It’s just a habit from when I lived on the farm. 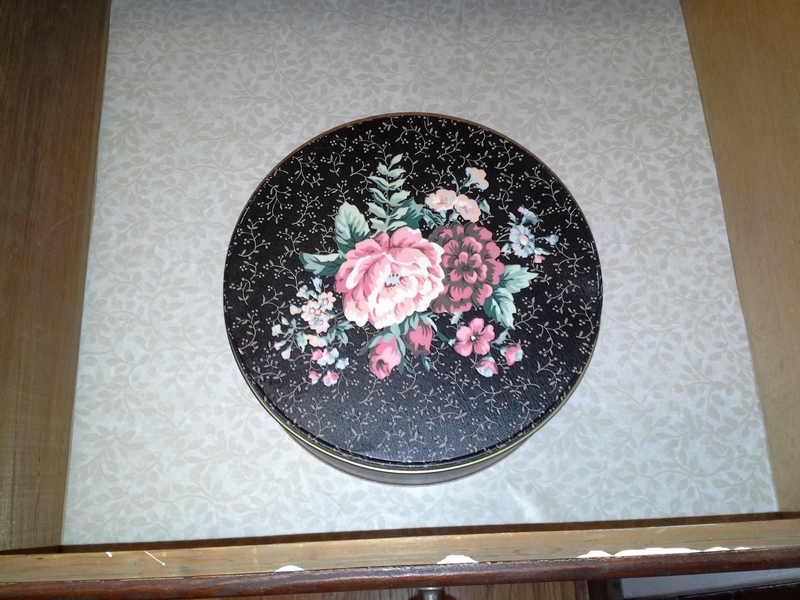 In the top drawer is the sewing kit. 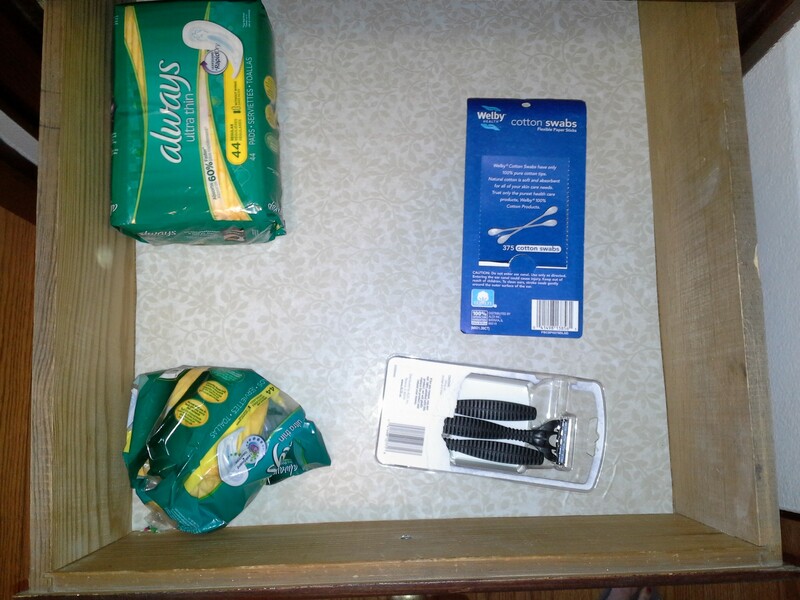 In the second drawer: feminine hygiene items, cotton tipped swabs and razors for the kids. 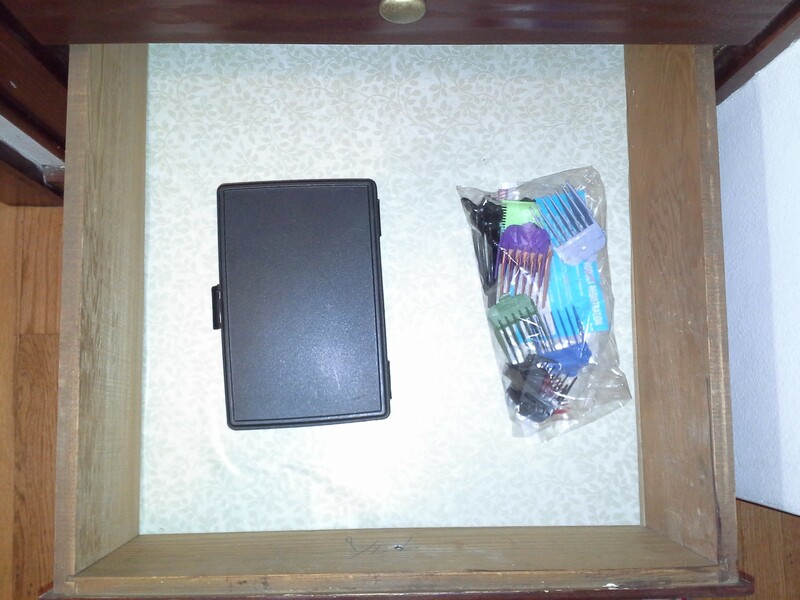 Third drawer has the trusty Wahl hairclippers. And the bottom drawer is empty. The more you are willing to use your own muscles to do something, the less you have to own. I’m not ready to give up my washing machine yet. This is one of those activities that checks all the “enough” boxes: enough money, enough fun, enough time with the family. 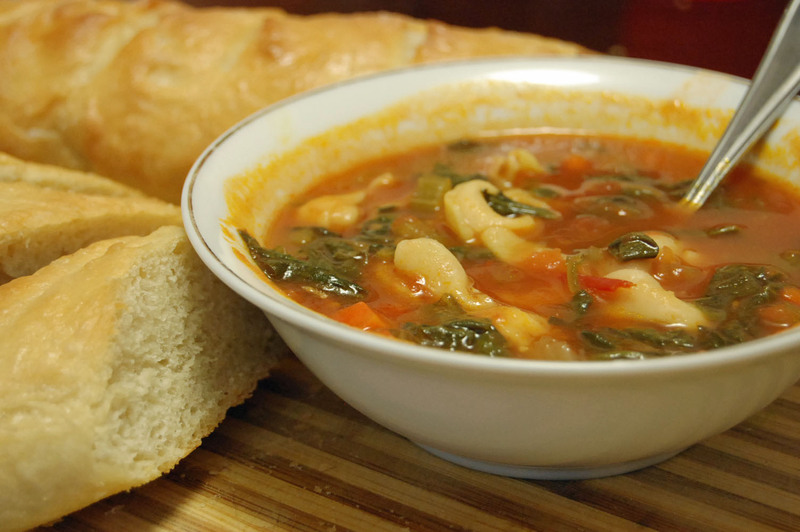 1) When you prepare your meal at home, you are eating in the most economical way. For many families, this is the simplest way to save hundreds of dollars every single month. 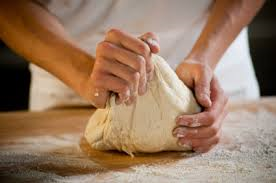 2) When you prepare your meal at home, you can fix it exactly as you and your family like it whether you are preparing low-fat chicken breast pizza or low-mess cheese sticks and sliced apples for your toddlers. 3) Eating a meal together is one of the strongest bonding things humans do together. You did want to bond with your family, right? 4) With the proper attitude, eating as a family can be a fun part of the day. Sure, you want to teach them table manners, but even that can be done in a playful way. Growing up, my brothers and I had some stiff rules for table behavior. But, if one of us caught another not following the rules, we could send them on a lap around the kitchen. We learned quickly, we could miss out on seconds if our misbehavior was poorly timed. It is a great time to share what has occurred during the day so far, plan for the rest of the week, and just be together. Doing so creates a family culture, a shared history…..a bond. 5) It doesn’t have to take a lot of time to fix a family dinner. (Remember the toddler dinner of cheese sticks and apple slices?) Do food prep on a day off work, to make things smoother later in the week. There are slow-cookers and stir-fries and simple sandwiches. Reality is, you can have food on the table faster than it would take to go through the drive through at the local fast-food place. 6) Cooking with your family can also be a fun time. Teaching kids to cook, sharing the creation of the menu and the meal, more good times. The long answer is that when they were pre-school age, I bought a TV, thinking it would make it easier to recruit babysitters. But the quality of our interactions was so much poorer, and then the kids didn’t want to do anything besides watch TV. So when the eldest left for college, I sent the TV with him. We had the blasted thing for about 7 months. The kids found other things to do. They made forts with the couch cushions, they read lots and lots of library books, one of them created comic strips for several years. 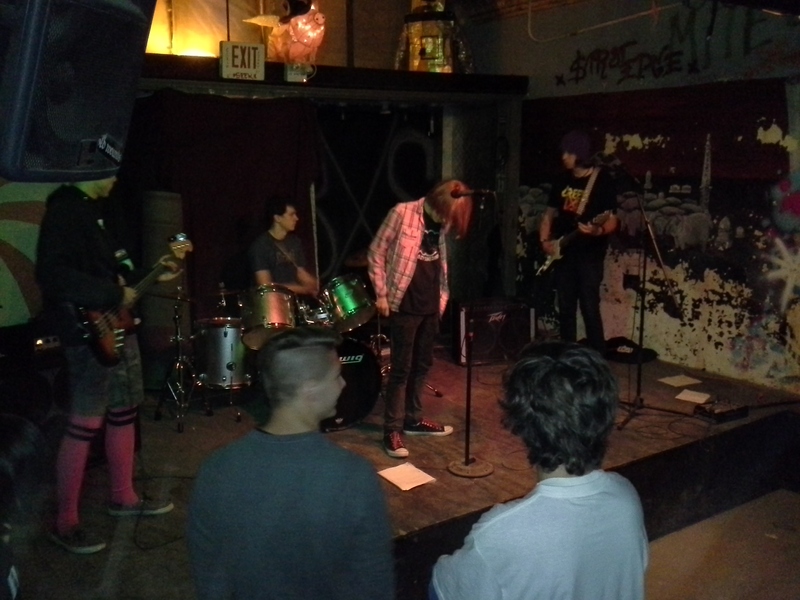 We built a tree house, they rode their bikes in a nearby park, and each of them took up at least two musical instruments. They did watch TV at their dad’s and friends’ houses, and they had the satisfaction a few times of telling the teacher that they couldn’t do the assigned homework because they didn’t have a TV. (This was always accompanied by a note from me verifying it was true.) Once or twice, I overheard them bragging to a friend that they didn’t have a TV at home. It is hard to know for sure, but I think they are more creative and disciplined than they would be if we did have a TV. 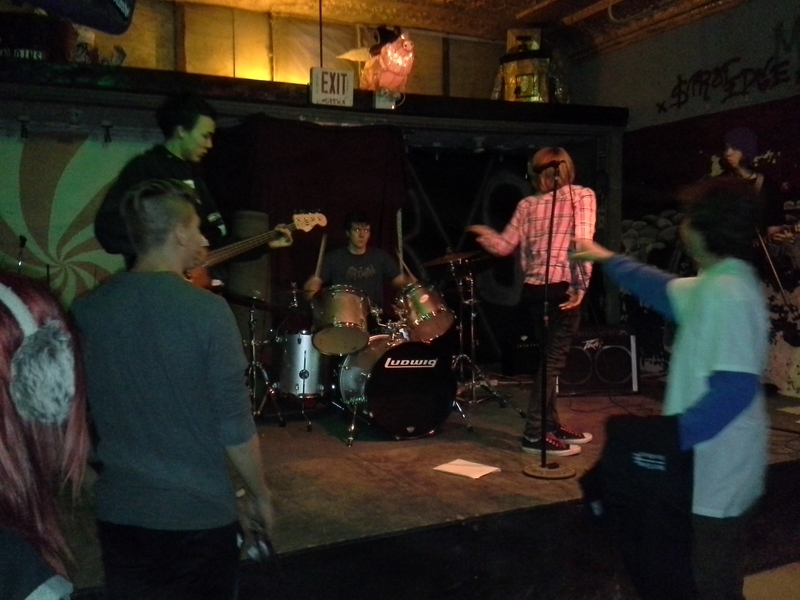 The band performing at the Black Sheep Café last Friday night. 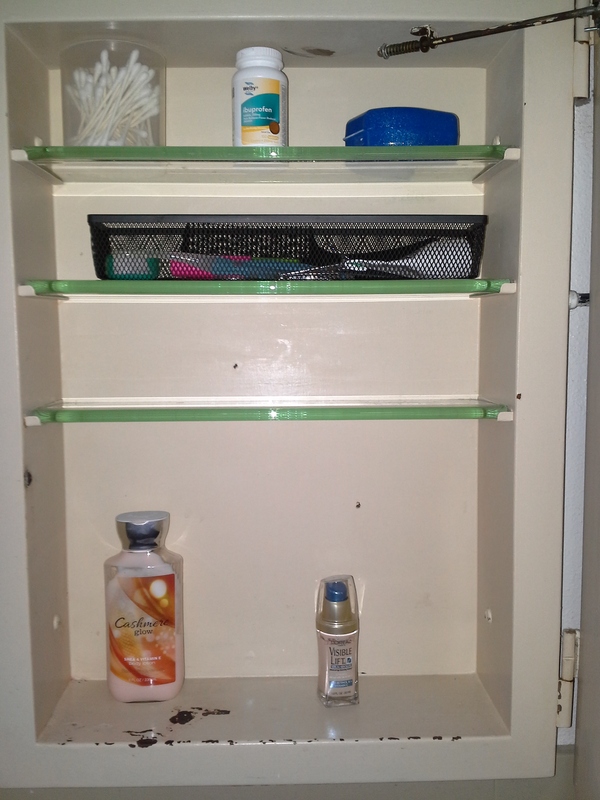 Now that my daughter is away at school the medicine cabinet is all mine. Here is what it looks like without her stuff. 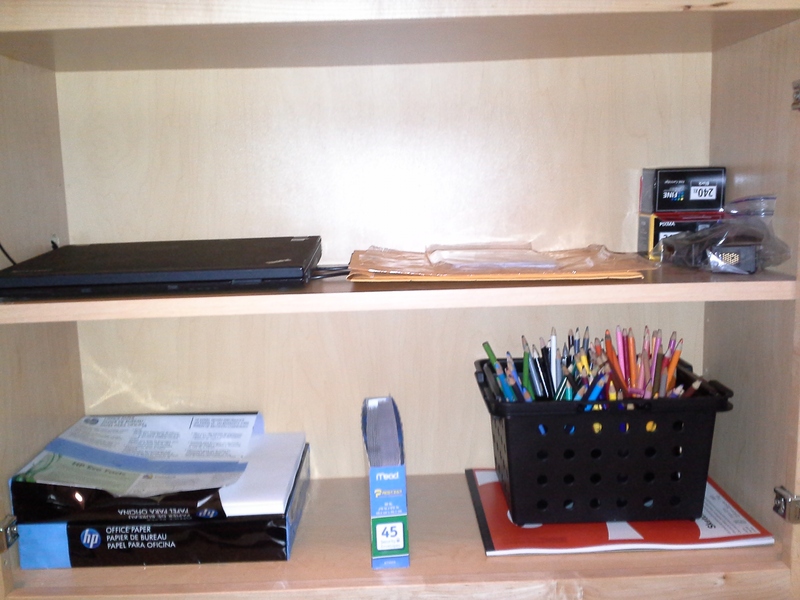 Top shelf: cotton swabs, Ibuprophen, retainer. 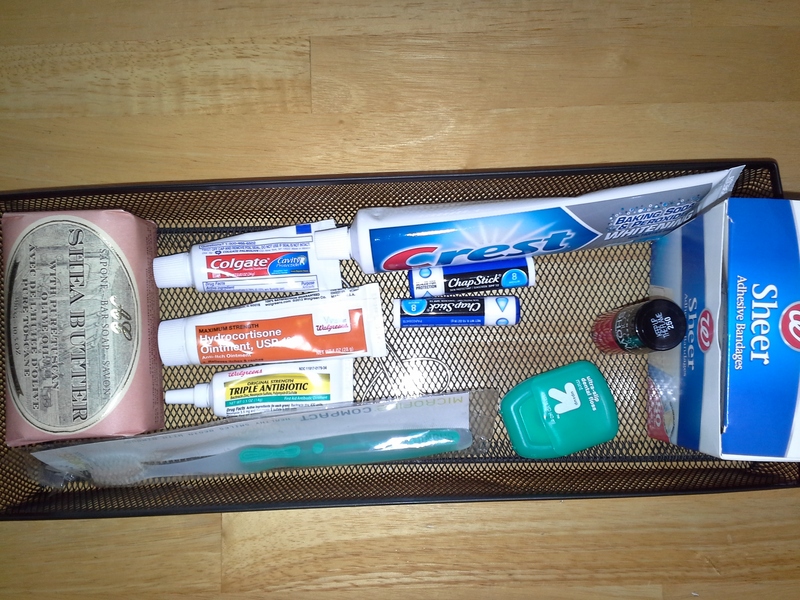 Second self: basket with floss, toothpaste, toothbrush, mascara, comb, nail clippers and grooming scissors. Bottom shelf: body lotion, foundation.